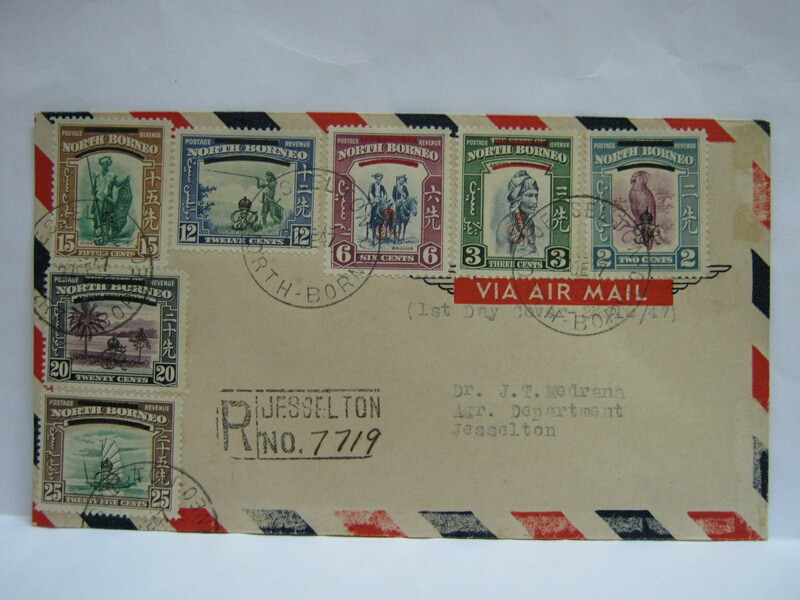 Jesselton was the old name for Kota Kinabalu. 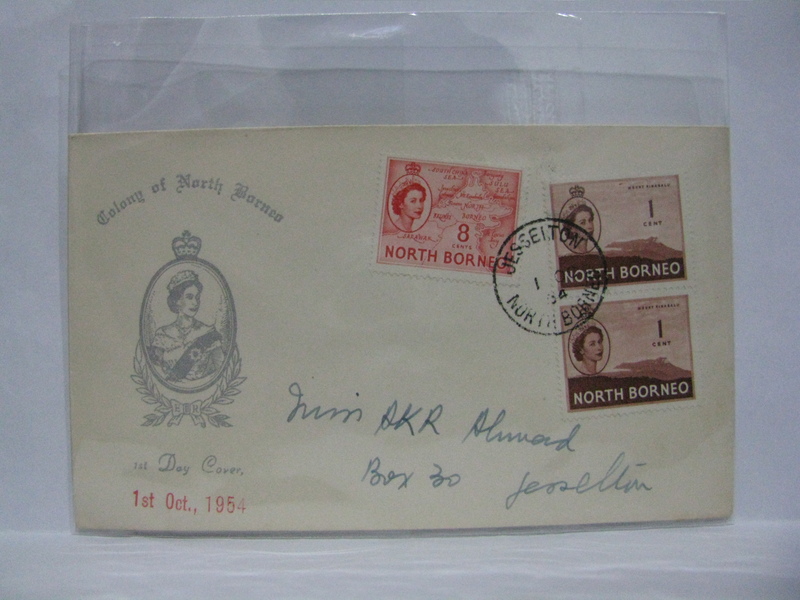 Jesselton took over as the capital of North Borneo (present day Sabah) from Sandakan after the Second World War. 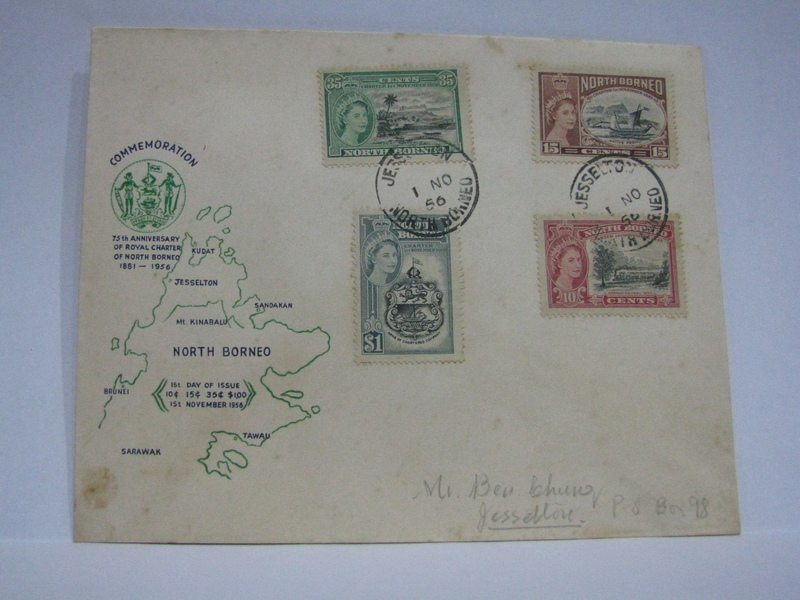 Here are some covers cancelled on the first day of issue in Jesselton and other towns in North Borneo. 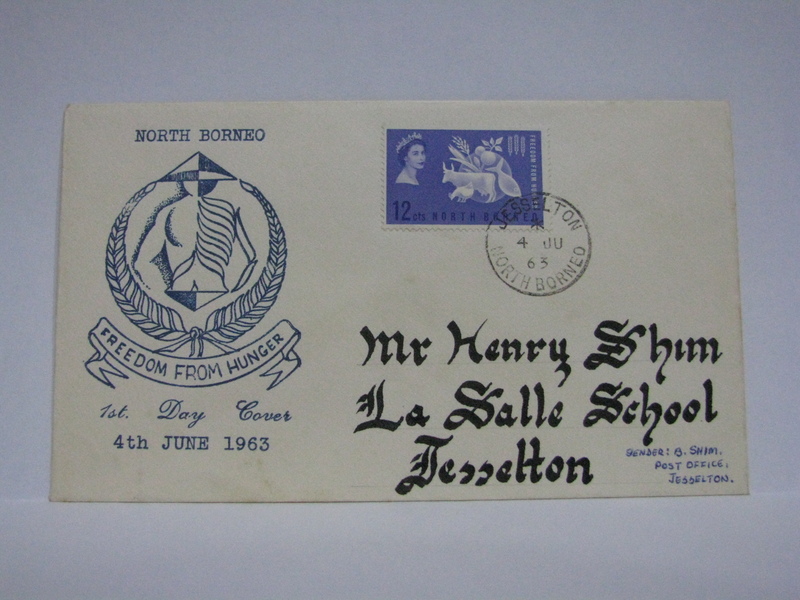 This is a nice FDC cancelled in Sandakan. 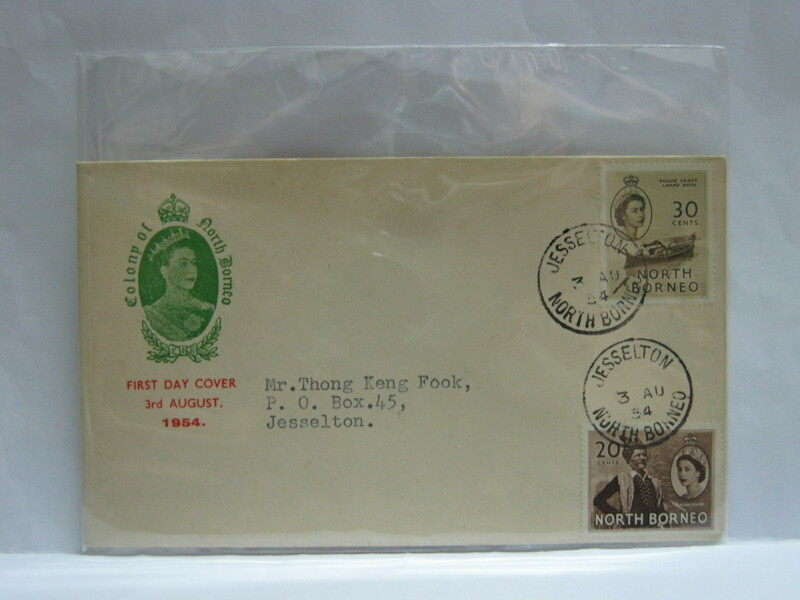 This issue is interesting in that the 50 cents stamp has the word “Jesselton” spelt wrongly as “Jessleton”. 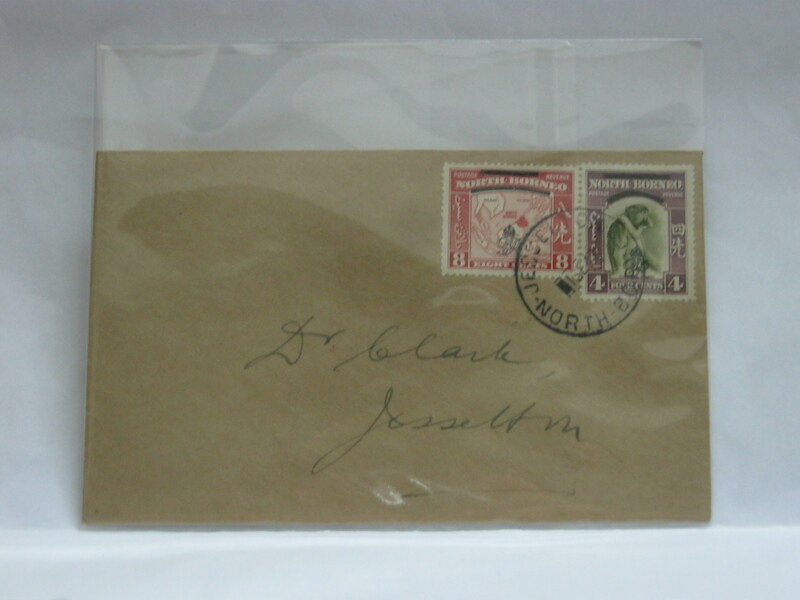 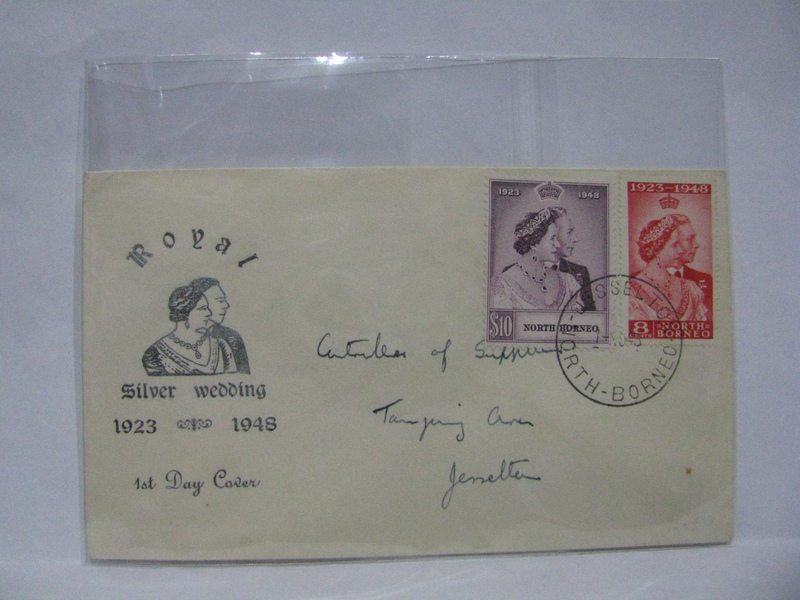 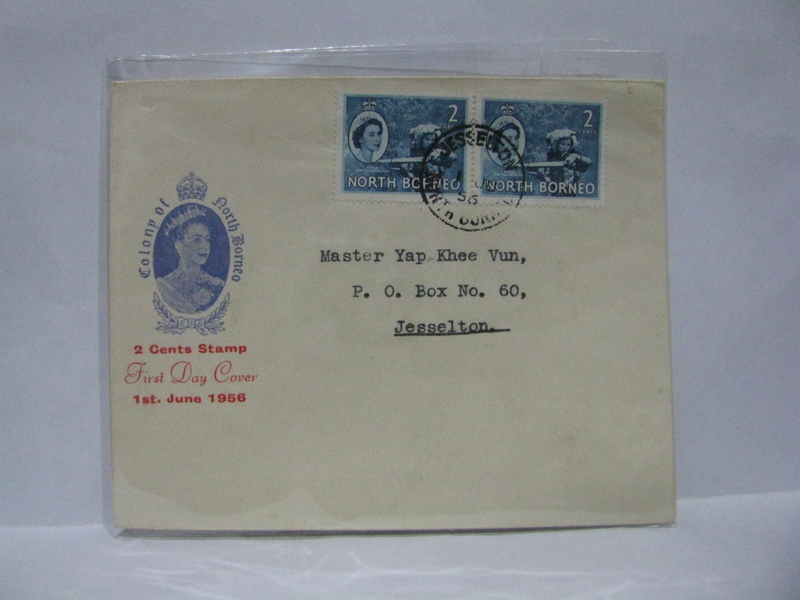 This was only corrected later on with another re-issue of the 50 cents stamp with the correct spelling of “Jesselton”. 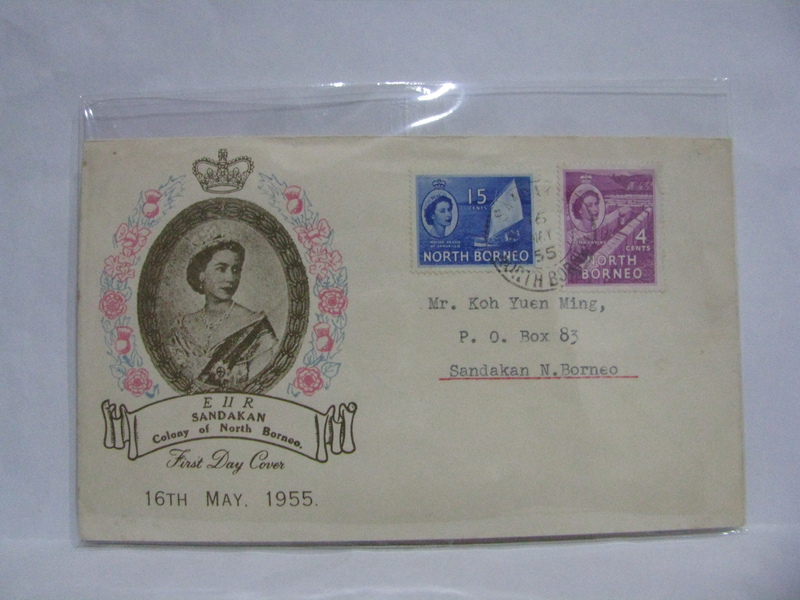 This FDC was cancelled in Sandakan. 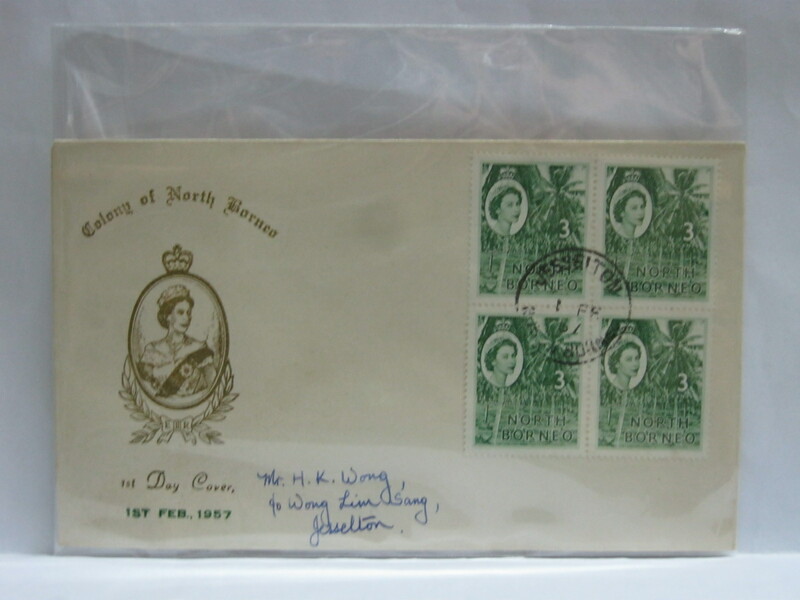 This issue is a correction for the word “Jesselton” from “Jessleton”. 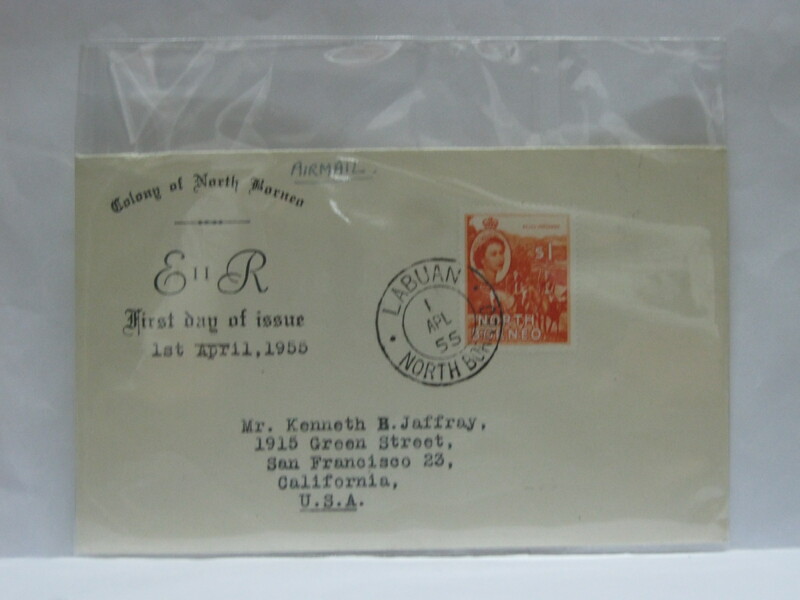 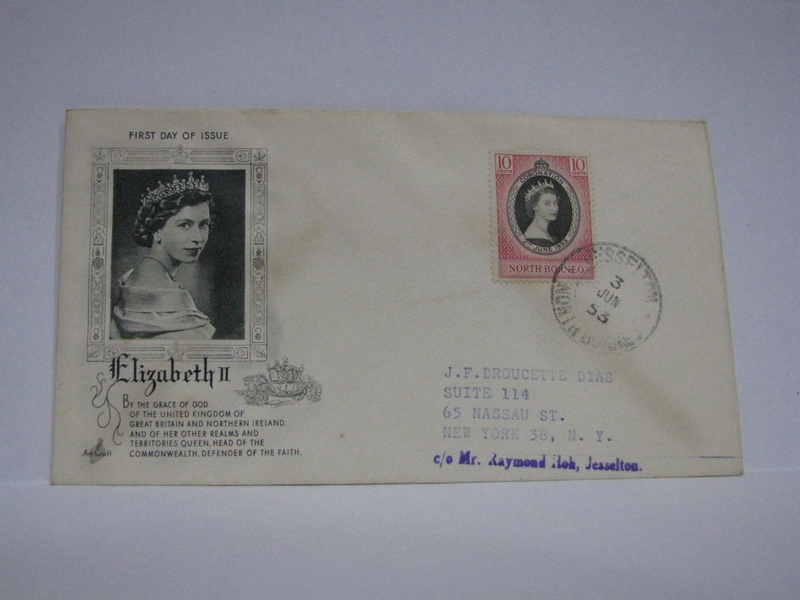 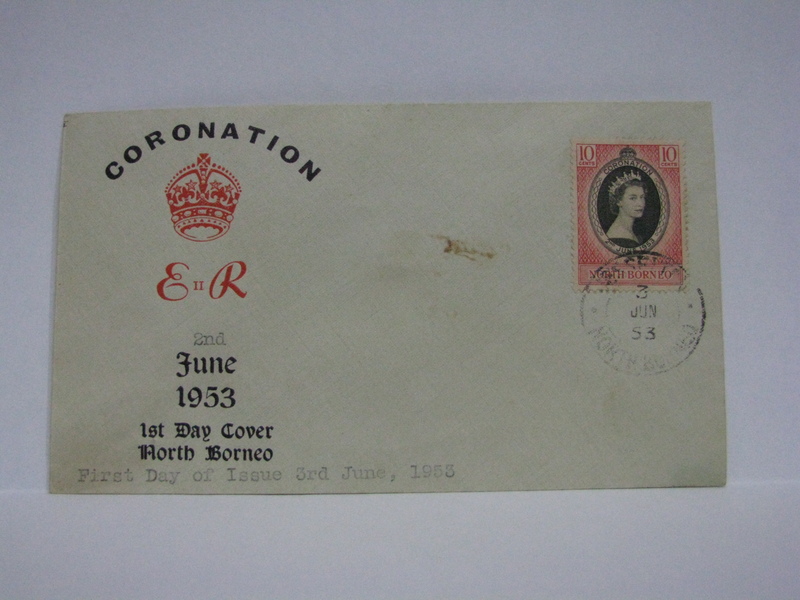 The first day of issue was supposed to be on 02 June 1953. 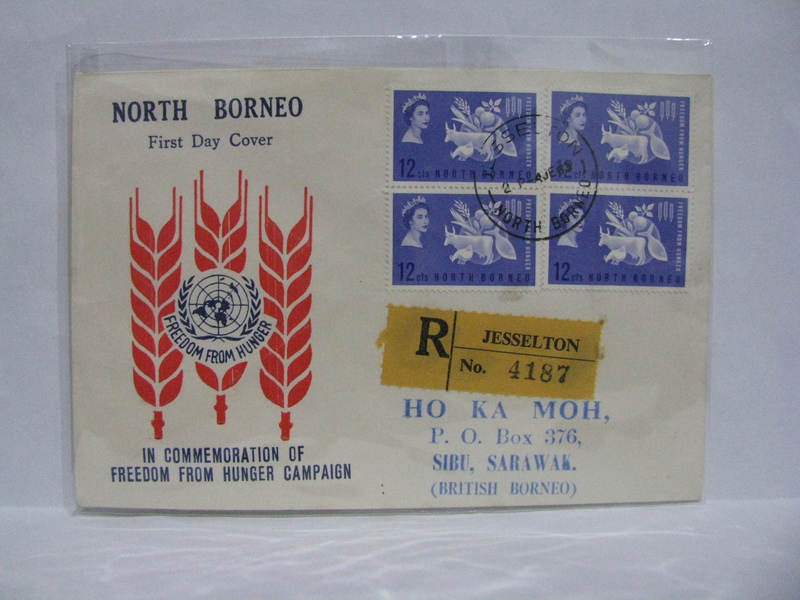 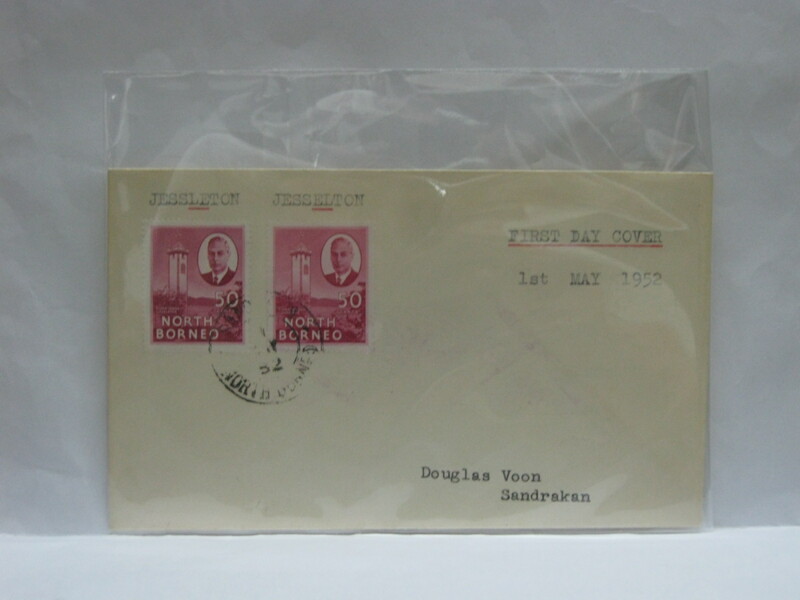 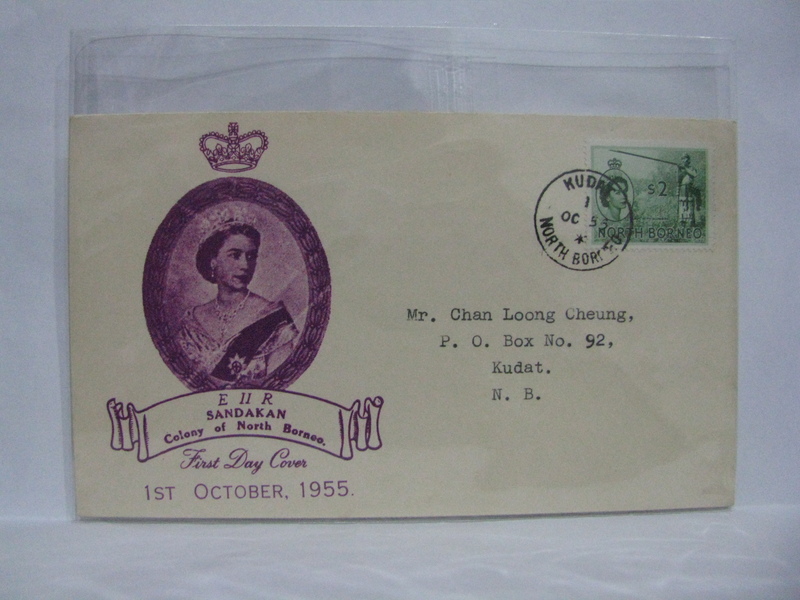 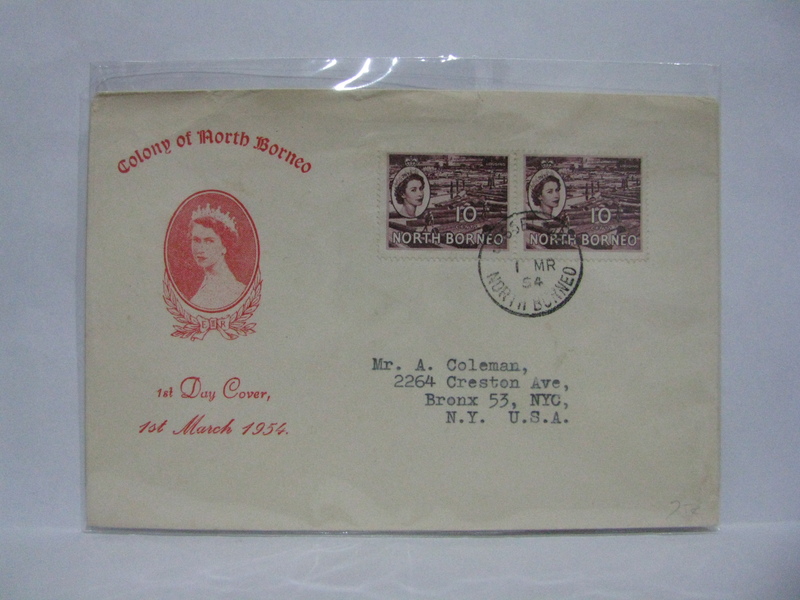 However it was a special holiday for North Borneo, thus FDCs were only issued on 03 June 1953. 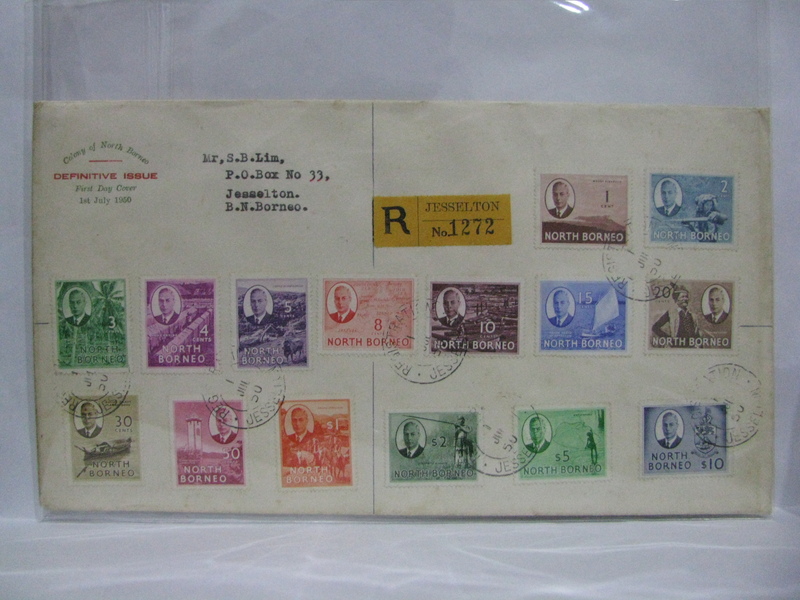 This definitive issue is quite hard to collect as it was issued in stages. 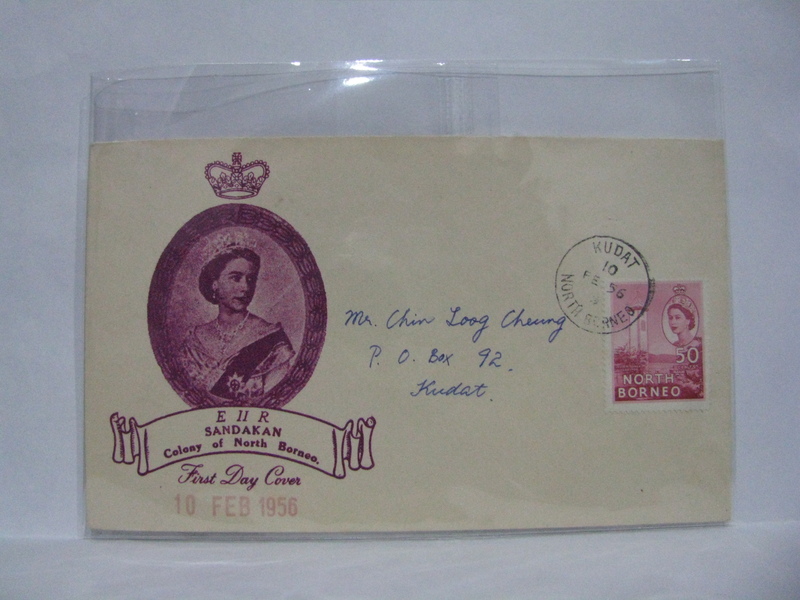 The first definitive (10 cents) to be issued was on 01 March 1954 and the last definitive to be issued was on 01 February 1957 (3 cents, $5 and $10)! 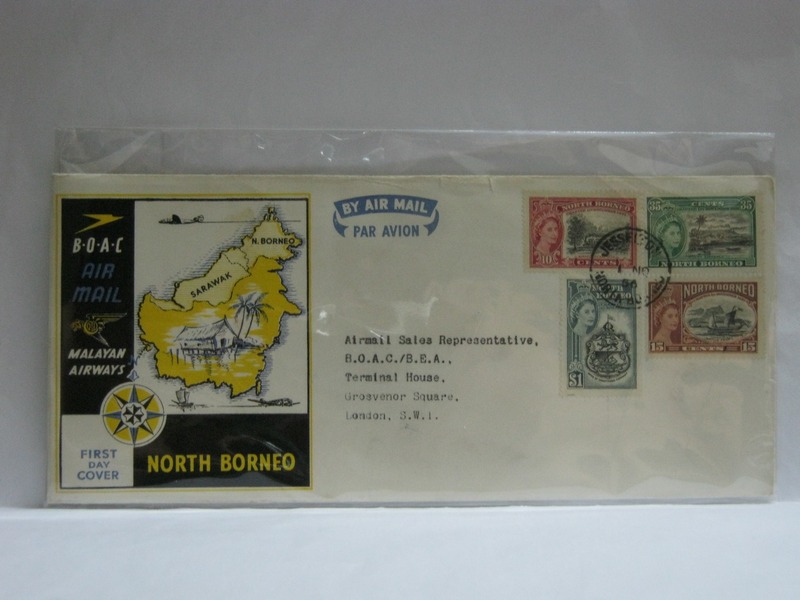 I am not an expert in North Borneo. 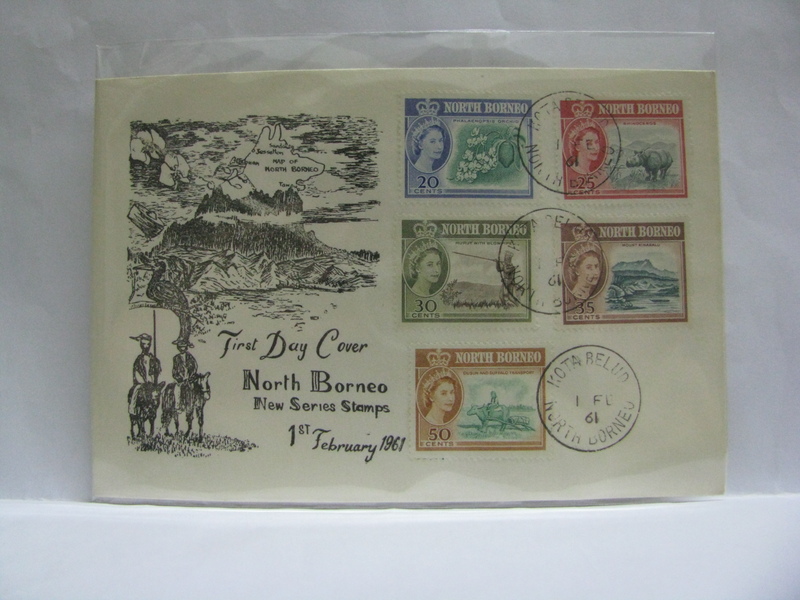 One particular website that I enjoy reading about North Borneo is North Borneo Stamps. 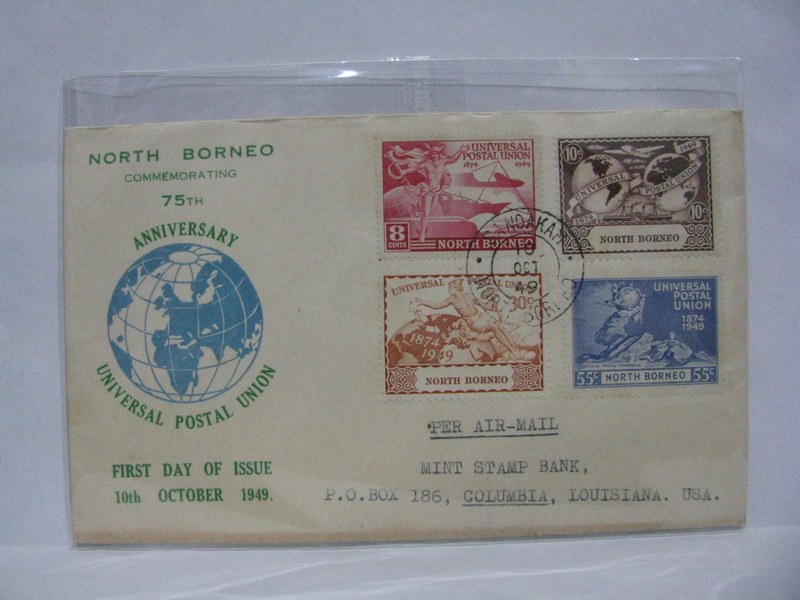 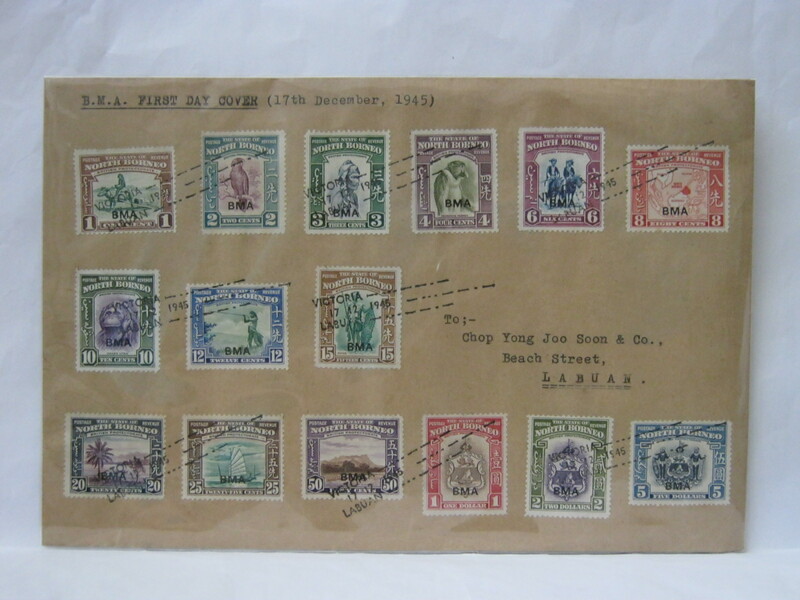 The site has very in-depth information on North Borneo philately. 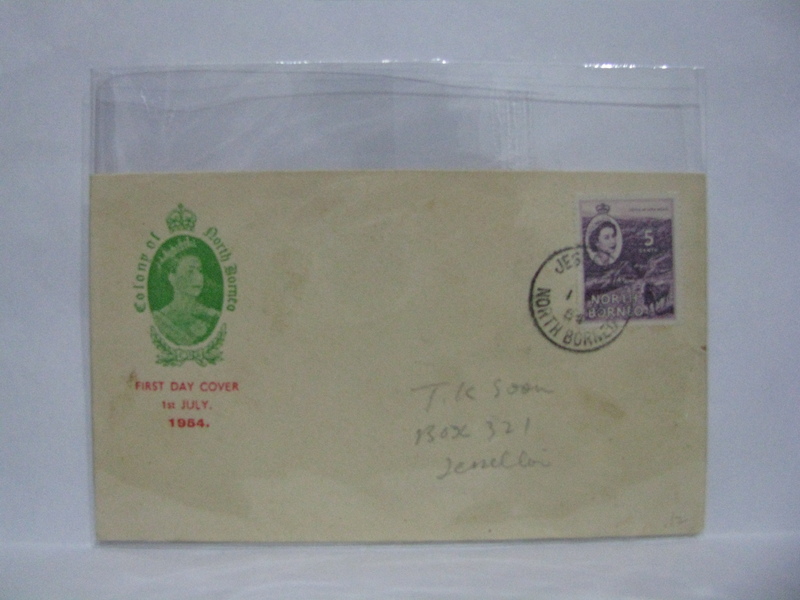 Just email the pictures (front and back) to sky52200myfdc@gmail.com and I will try and give an estimate. 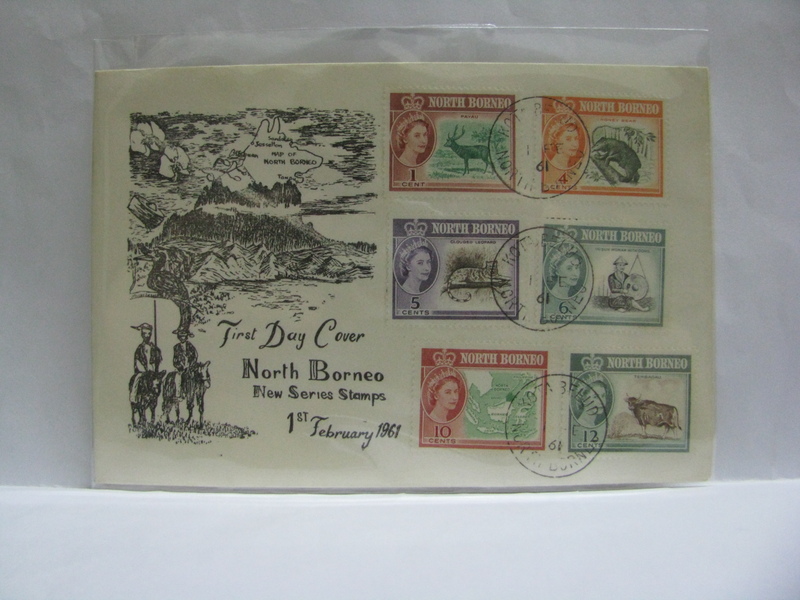 is the picture cover for sale? 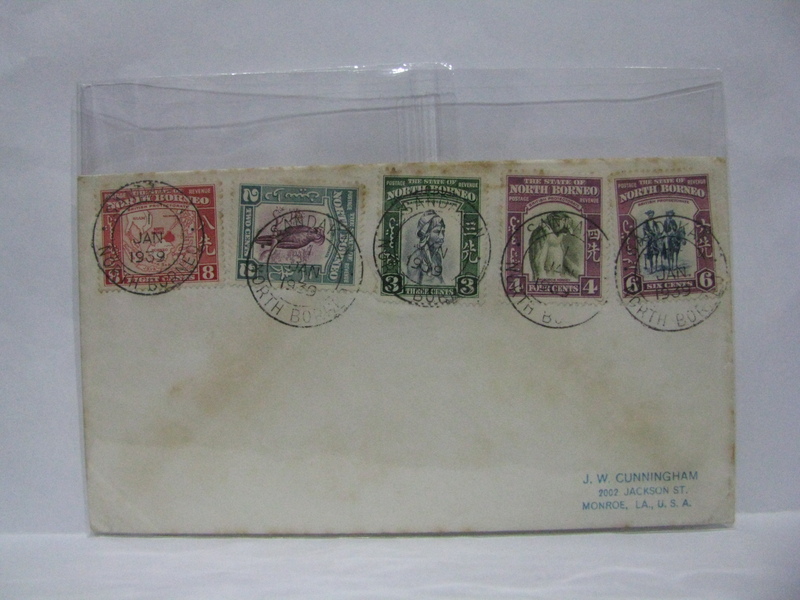 The pictures on this site are my collection. 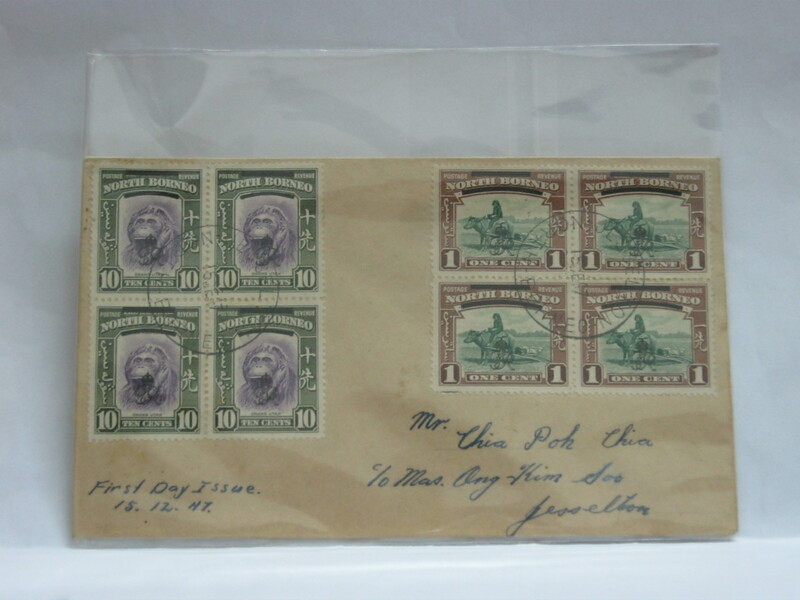 If I have a spare, I can sell. 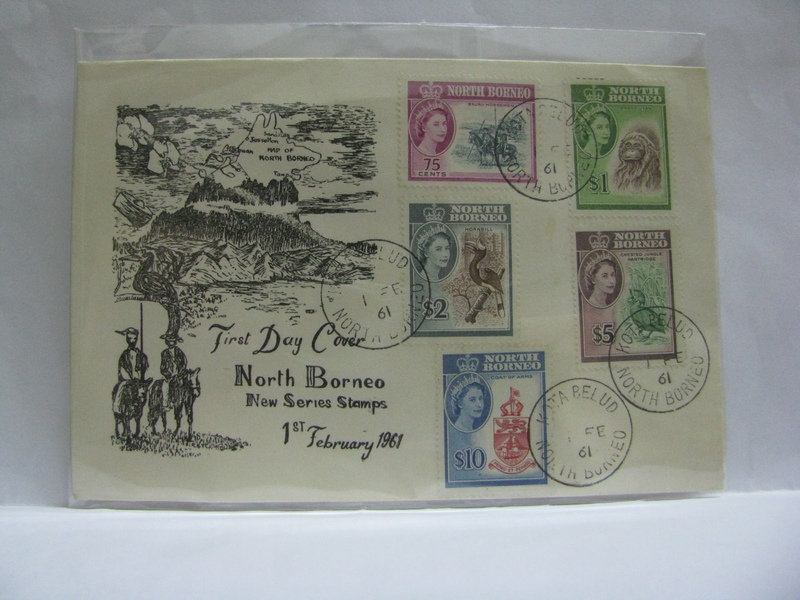 the borneo cover 1961 set for sale? 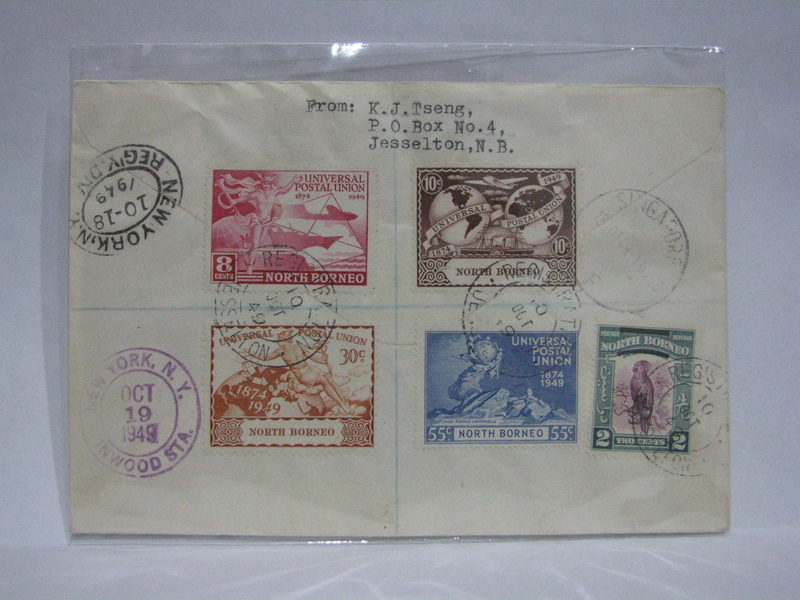 Sorry, it is my personal collection.